Relief: Heavily forested areas with lots of rivers, small towns and compounds. Impassable Terrain: Rivers, few steep hills. The year is 1972 the island of “Lingor” has seen much starvation and hardship in the last few years. The local government has changed multiple times due to several recent coups. The island has not had any time to recover and stabilize. The current government is now striving towards peace but is constantly interrupted by local insurgent forces. The most prominent being the “Wicked Salamanders” group operating primarily in the northern region of the island. Last year the UN passed a resolution to station UN troops in the area in order to safeguard the population as this war of power wages on. But this has proved difficult and the secretary general has asked the UK to provide assistance in aiding the UN by finding and rooting out the Insurgent Forces plaguing the island. UK has dispatched a Company of Motorized infantry to aid UN peacekeepers. The Insurgents in the North Western part of the island has grown bold and seems to be expanding its territories. 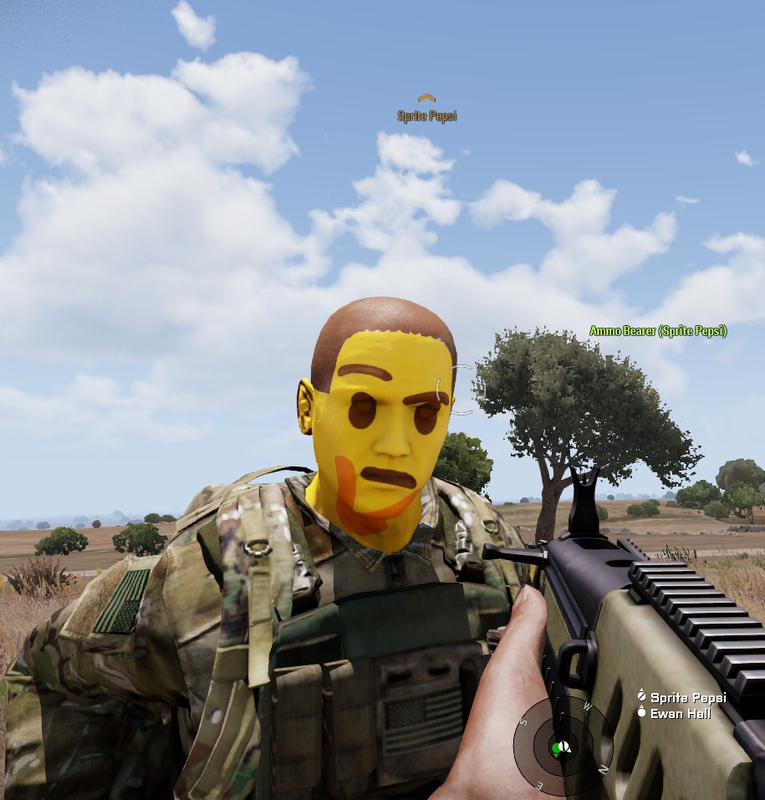 One company of a UK Motorised battalion has been dispatched to the region to aid UN peacekeepers in their work protecting the population as well as to root out the insurrection. Numbers: Intel gathered from the area suggests around 100. Force Type: Dismounted / Motorized. Weapons: AK-47, PKM, RPG-7s, SVDs. Mounted MGs. Vehicles: Pickups and normal cars. They have been reported using boats in their recent attempts. Equipment: Well equipped guerrilla fighters wearing mixed camo. Civ Pop: Expect Large numbers to be present in the larger cities and towns but few to no one in the outskirts. UN Peacekeepers are stationed 2km south of our FOB, close to the town of Tucos. Equipment: Wearing Blue helmets and vests. Vehicles are painted white. Transport: M113s, Mi-8s, URALS, UAZs. We want to crush the spirit of the insurgent forces in the region and drive them out of hiding. This is to improve the living conditions for the people living in the area. Find them and root them out! Objective 1: Patrol the area and try locate insurgent activity. Objective 2: Aid the town of Gatoro. Objective 2: Locate the insurgent stronghold.